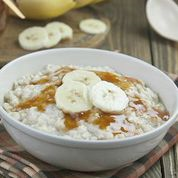 Today is World Porridge Day and here at Wren we are celebrating! We honestly believe that there is nothing better to warm you up on a cold autumn morning than a wonderful bowl of hot, comforting porridge. Porridge has long been a staple in Britain. 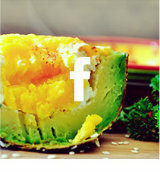 Enjoy it hot, cold, sweet or savoury – the options are endless but its hearty goodness remains the same! So, in honour of our favourite oaty breakfast, we have rounded up a few recipes for you to sample this winter. Follow our basic recipes for hot porridge and adapt it with different toppings and flavours! 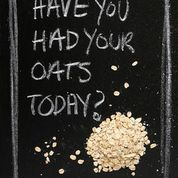 Oats have great health benefits! Microwave: Place the milk and oats into a microwave bowl. Heat on full power for 2-4minutes (depending on your heat settings). Pause halfway through to stir your porridge and leave to stand for 2 minutes before serving. Note: If you like your porridge runnier, simply add an extra splash of milk or water until you’ve got the perfect consistency! Banana and cinnamon with a dash of brown sugar – divine! The good news is that as well as being super tasty, porridge has great nutritional value. It has been scientifically proven to keep you fuller for longer because of its slow releasing energy, it can lower cholesterol and also has significant cardiovascular benefits. What more reason could you need to switch to this hearty breakfast?